"Jaige Somerville. 28 year old rapper from Bonhill, Alexandria. I've been writing and recording music since I was a teenager and I'm a big fan of battle rap. I recently won my first battle in Ayr in a 2v2 with Chad the lad against JR the juggernaught and Misterman. My biggest influences in hiphop music are Sage Francis, Eminem." 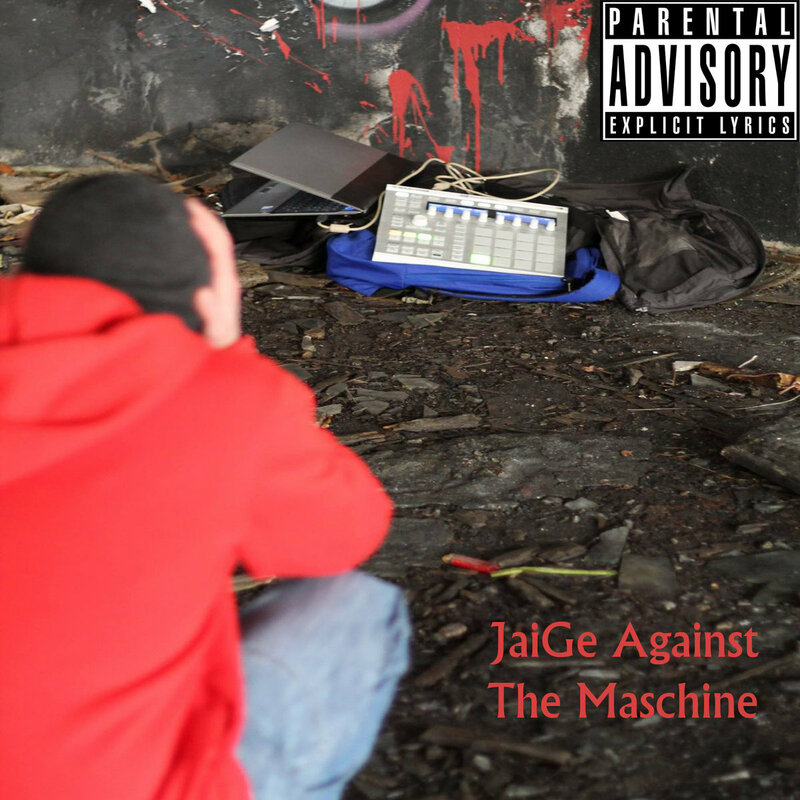 "JaiGe Against The Maschine is my debut album which took nearly a year to complete. I tried to blend wordplay, humour and honesty into this project to give people an all round feel for what type if MC I am."